Andrea Graham, aka The Librarian, is a bass music DJ and producer from the Pacific Northwest. Her sets move through European dubstep, grime, footwork, jungle, dancehall and halftime drum and bass, tying everything together with low-end frequencies. She is the co-founder and chief music curator of Bass Coast Music Festival, a member of West Coast bass music crew Lighta! Sound, and the co-host of a bi-monthly radio show with Mat the Alien on Sub.fm. Sam Binga has placed himself firmly at the centre of music between 160 and 170bpm, with releases on some of dance music’s most respected underground labels – 50 Weapons, Exit and Critical. His sound spans the anthemic rowdiness of trackslike ‘AYO’ and ‘Lef Dem’, to the deeper explorations of his collaborations with Om Unit, and has attracted the attention of artists such as Zed Bias and CHVRCHES – who have both hit him up for remix work – and Kode9, who featured his tune ’11th’ with Addison Groove on his critically acclaimed Rinse CD. Life is one big field trip, Let’s live it that way. 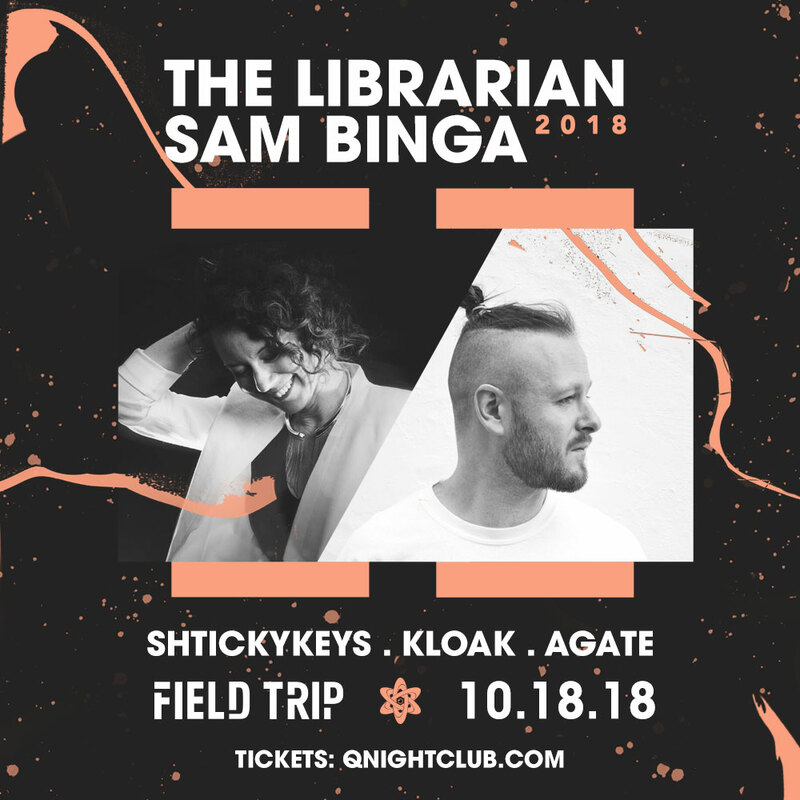 Field Trip is a multi-genre club night aiming to provide a space for the essential elements of creativity, group connection, and expression through dance and music. We understand that good art and social movements happen when we work together, so we're bringing down the fourth wall to present the music you love in a multi-dimensional experience, bringing you from patron to participant. Join us on our quest to build a community of enthusiastic music lovers through experience education.